National Research Council's Aeronautics and Space Engineering Board's recommended priorities for NASA. The space shuttle Atlantis is towed to its hanger on July 21, 2011 after it landed several hours earlier, ending its 13-day mission and final flight for the space shuttle program. How do smart people miss the point? Like this. Instead of trusting in their extensive experience, reason, and judgment, they use an arcane scoring system to provide the appearance of objectivity. That’s how the National Research Council’s Aeronautics and Space Engineering Board, a collection of really smart people, arrived at their recommendations for NASA’s 16 highest priorities in a report released today. NASA sponsored the report, so it will certainly take the recommendations seriously, though it is not obligated to adopt them. All those scores were then aggregated using something called quality function deployment (QFD). Sixty-four of the 295 technologies got classified as high priority. The panel then added another 19 technologies to the high priority group in tacit recognition of the incoherent nature of their faux quantification. This methodological muddle-headedness is emblematic of an institutional timidity that has paralyzed the U.S. space establishment for the last three decades. It remains extremely expensive to get to space. (A wag might dub this Less’ law, in contrast to Moore’s law, which has described exponentially cheaper computer circuitry.) The cost has come down slightly in recent years, and will come down more, if SpaceX’s Falcon Heavy succeeds. But the Falcon Heavy only makes launching very large payloads cheaper. It doesn’t do much for smaller missions. As Tim Harford has written, failure is crucial to success. But as long as getting to space is prohibitively expensive, failing in space is too expensive, meaning that almost all space programs get sucked into interminable spirals of program delays and cost overruns. 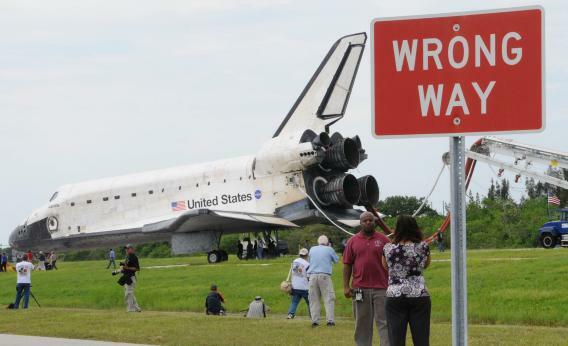 NASA doesn’t need 16 highest priorities; it needs one. Make space launch cheaper. Everything else can then fall into place. This was the idea of the space shuttle, back in the 1970s, though it was monumentally botched in the execution. As long as groups like the NRC who advise NASA in an official capacity use things like QFD scores in place of reasoned judgment, the “vigorous, broad-based program in advanced space technology development” that the NRC panel’s chair says has been lacking in past years will continue to be unattainable. *Correction, Feb. 1, 2012: Due to an editing error, this post originally misstated the number of points a technology that affects multiple missions in multiple mission areas would receive under the National Research Council’s assessment of NASA priorities. It is nine points, not three.